Our trip started at Durban, where our car arrived by ship. 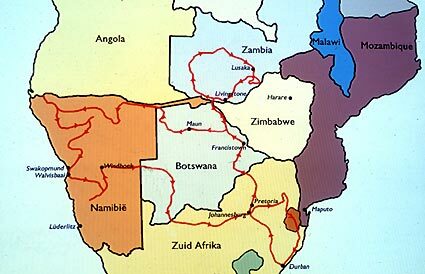 From there we went to Zambia, back to Botswana, into Namibia. In South Africa we took a detour through Swasiland before ending the trip in Durban again.